My Creative Time: Winner of the "Imagine" Blog Hop & a Card! Happy Monday my Creative Friends!! I hope everybody had a Good weekend!! I SURE did!! Yesterday I actually slept in!! whoohooo!! I slept for "10" hours!!! WHEW, that was a Miracle!! ;) Okay onto my card!! My niece had asked me to make her a "Golf" card for her boss for his birthday!! Now, I'm not a golf girl so she through me off when she had mentioned that the golf ball had to be "Black"!! NEVER HEARD OF THAT BEFORE!! So, a black golf ball card is what she got!! Literally, this card was made in "7" minutes!! I actually timed myself! lol........ I thought it came out okay for the time I had to work with! 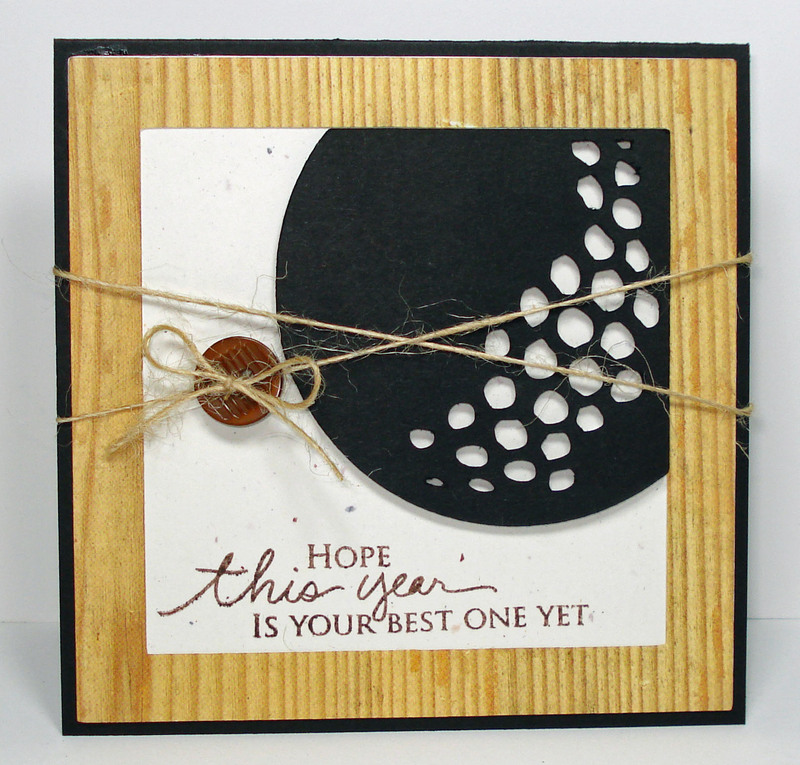 The cardstock, twine, button & sentiment is from the stamp set Signature Greetings from Papertrey Ink! The woodgrain pattern paper is from a little 6x6 Mini Deck from Cosmo Cricket called "Wanted"! The golf ball & from was cut from Sports Mania Cartridge!! Fabulous projects as always Emma! Thanks so much for the inspiration and the chance to win! CONGRATS MISS JENN!! Email me your address so I can get your stamp set out to you!! P.S. Don't forget to head on over to PINK CRICUT's Blog to see who the lucky winners are for the Gypsy & the Imagine Cartridges! Oh this is wonderful. I love the black golf ball. Great card Emma! I have to agree with you...I've seen a lot of golfballs in my day, but never a black one until today!